There’s nothing easy about family law. Not only are the points of law intricate and sometimes thorny, but feelings are tender, emotions run high, and, quite frequently—win or lose—outcomes are painful. When you find yourself in a position where you need legal help with family-related issues such as divorce, child custody, or criminal abuse, you need to seek out an attorney whom you can trust to see you through the difficult road ahead to a better place on the other side. David L. Martin, Esq., is that attorney. You can trust Mr. Martin to help you successfully navigate the most complicated family law issues and see you through to a safe harbor on the other side. David L. Martin, Esq. is a divorce and family attorney, with offices in Nassau County, NY, and Queens County, NY. For nearly 30 years, Mr. Martin has been helping clients find the most effective and practical way to navigate the legal minefields of divorce and family law. He has built a reputation for being a skilled negotiator and taking bold action to reach the best possible results for his clients. The Law Offices of David L. Martin, Esq. PC handles cases ranging from straightforward uncontested divorces to highly contentious, litigated divorces. Mr. Martin also practices in the legal realms of Child Support, Spousal Support, Child Custody, Separation Agreements, Prenuptial Agreements, Adoption, and Juvenile Delinquency. Mr. Martin and his staff are prepared to help by providing compassionate, professional legal services in a wide range of family law practice areas. The attorneys at the Law Offices of David L. Martin, Esq. PC never forget the impact that family law issues have on you. They understand the decision to divorce is a difficult and stressful one to make. They will be there for you offering sound advice, and outstanding legal representation every step of the way. The choices you make today will affect you, your family, and your finances for years to come. Start by making the right choice today. Hire an experienced attorney who is determined to protect your rights. Contact The Law Offices of David L. Martin, Esq, PC for a free initial 30-minute consultation concerning your legal rights and obligations. At the Law Offices of David L. Martin, Esq., P.C., we are dedicated to offering clients quality legal representation in divorce, criminal law, and family law. Our professional attorneys take the necessary time and care for each and every case they take on and use our 30 years of experience to get them the results they’re looking for. When you retain our legal services, you can rest assured that you’ll be kept informed of all developments in your case and get the personalized legal experience you deserve. As experienced divorce lawyers, we understand divorces are emotional and that the outcome of these cases affects an entire family. 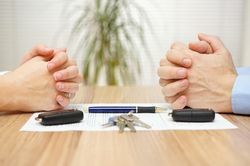 If you’re in a situation where you need legal help from a Nassau County divorce lawyer, David L. Martin, Esq., can help. Mr. Martin has successfully navigated the most challenging family law issues in New York and has helped clients like you reach agreeable resolutions. Whether uncontested or litigated divorces that require negotiations, he can do it all. If you’re facing a child custody case in New York, you need an experienced child custody attorney by your side. Our child custody legal professionals have the experience and resources needed to advocate for you and ensure that your parental rights are protected while we negotiate an agreement that is in the best interest of your child(ren). There are two types of child custody in New York: physical (or residential) custody and legal custody. Physical custody is not joint. However, if one parent has sole physical custody, the other parent has visitation rights. Legal custody refers to the rights and responsibilities of each parent to make decisions on the child’s education, medical care, and more. Legal custody can be joint (with both parents sharing the rights and responsibilities), or it can be sole (with only one parent holding that right). A custody agreement helps define the legal relationships between a child and their parents. Preferably, this situation can be resolved between the two parties and without the court involved. A child custody lawyer, such as David L. Martin, can assist you during this delicate time. As parenting time attorneys, we can assist you with visitation rights in New York. Visitation, or parenting time, is something that can be determined in a temporary visitation schedule during a pending divorce. Once custody is determined and a divorce is finalized, a permanent schedule can be established. 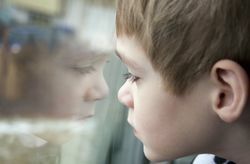 Most of the time, the non-custodial parent has liberal visitation with the child(ren) away from the primary residence. This allows both parents to coordinate and determine a schedule that works best and that avoids going to court to create a visitation schedule. However, when the court is needed, a visitation agreement can be drafted by a family lawyer from our New York law firm. This visitation agreement can also include siblings, step-siblings, and grandparents. In the state of New York, both parents are responsible for financially supporting their child until they turn 21. This includes providing health insurance. However, after a divorce, child support can become a touchy subject. Child support includes monthly payments aimed to provide for the basic needs of a child. Add-ons to child support can include health insurance, payments for childcare, and even for private schooling. Generally, the noncustodial parent pays child support to the custodial parent. In New York, the amount of child support is based on a percentage of the combined parental adjusted gross income. This includes disability, worker’s compensation, earnings, unemployment, Social Security, and pensions. For one child, it’s typically about 17% of the adjusted gross income, 25% for two children, and so on. The amount is then divided between the parents according to their incomes. If one parent feels that the child support order is not fair, they can ask for the court to raise or lower the amount based on an increased standard of living, income changes, special needs of the child, education needs, differences in the gross incomes of the parents, etc. Additionally, the Child Support Enforcement Program in New York reviews each order every two years to determine if the cost of living increase should be reflected in child support payments. One of our professional child support attorneys can help make sure that your child’s best interests are always met. Any assets that are incurred from a couple’s wedding date to the date that someone files a divorce is part of that couple’s marital assets. In New York, equitable distribution of marital assets is based on the notion that a marriage includes the economic union of two people. As such, equitable distribution doesn’t mean that each party gets 50%. Rather, the marital property is allocated and divided fairly. When you’re looking to reach a fair and equitable division of your marital assets, the Law Offices of David L. Martin, Esq., P.C., can help handle your case with ease. We will work diligently to ensure your best interests are considered at all times. Spouses have the duty to take care of one another and that carries on even after divorce, when one partner needs financial assistance. In New York, is referred to as spousal maintenance. Temporary maintenance is a court order where one spouse must support the other while the divorce is being resolved. This maintenance stops once the divorce is finalized. Post divorce spousal support may be granted by the court depending on whether or not the court deems it appropriate. 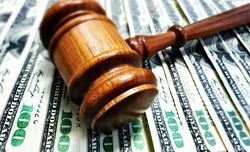 When determining whether or not alimony applies and/or how much will be paid, a judge looks at the needs of the spouse asking for support. Furthermore, they will consider factors such as the income of both spouses, the length of the marriage, age and health of each spouse, present and future earning capacities, the need of one spouse to obtain an education or training to earn more, whether they are caring for the children, domestic violence and contributions one has made as a homemaker to enhance the other spouse’s earning capacity. If you need expert legal help, David L. Martin, Esq., PC., can help. We provide compassionate and professional legal services in many different family law practice areas in New York. To learn more about our legal services and to schedule a free legal consultation with a family lawyer in New York, call our law office at (516) 294-8886 or (718) 520-8884 today. If you are seeking aggressive representation from a divorce, family law, or criminal defense attorney who has the experience and representation as a tough and skilled litigator, please fill out the form below. David L. Martin ESQ., P.C.